Any real estate matter, whether transactional or involving litigation, requires the guidance of a knowledgeable attorney who can resolve disputes in an efficient and effective manner. At Bowles & Verna LLP in Walnut Creek, CA, the majority of our work is in commercial real estate. Our attorneys have handled hundreds of cases and taken many to trial. We have also represented real estate licensees in front of the California Bureau of Real Estate (CalBRE). When do you need to hire a real estate attorney? 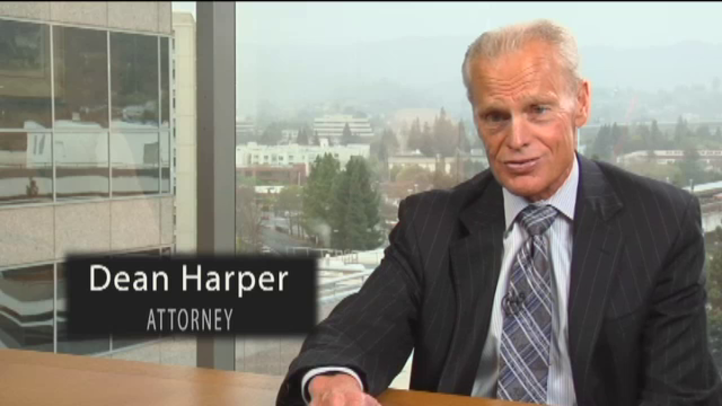 Real estate attorney Dean Harper has handled more than 1,000 cases dealing with real estate litigation. The attorneys at Bowles & Verna have a very successful mediation and trial practice. Our experience and track record of success can help protect your best interests. Our firm has conducted hundreds of risk management seminars for thousands of real estate agents throughout California. Selling and purchasing real estate are big decisions. As a purchaser, you want to know your property is solid, free of defects and that the closing will go forward without complications. As a seller, you want to avoid accountability for issues you had no knowledge of or are not responsible for. An attorney well-versed in real estate contract law can help prevent any potential problems from arising. At Bowles & Verna LLP, we have extensive experience with real estate contracts. Our attorneys become your partners in this venture, working together to bring your real estate transaction to a successful conclusion. We have seen the havoc that a poorly written real estate contract can cause. We do everything in our power to prevent this from happening to you. We consult with you on the concerns you may have about your real estate deal and advise you on potential pitfalls and how to correct them. Everything we do is geared toward a positive outcome for you. As a real estate broker, you know that things can go wrong with any real estate deal. When errors are made or when a lack of knowledge leads to an angry customer, you may end up with a lawsuit on your hands. If this occurs, you need a broker defense lawyer with extensive experience in broker errors and omissions defense. Bowles & Verna LLP has an excellent reputation as a trial law firm. Our attorneys have taken many cases to trial and verdict. We have handled more than 900 cases of errors and omissions defense over many years of practice. We understand how important your reputation as a real estate broker is to you. Our firm also works with real estate brokerages and individual agents all over Northern California, assisting them with risk management. We know the ins and outs of malpractice defense as well as how to prevent it from occurring in the first place. When you are caught up in real estate litigation, it is important to have an attorney with a thorough understanding of California real estate law. Litigation can be very expensive. Our lawyers do everything they can to work efficiently and effectively to bring your case to a close. At Bowles & Verna LLP, our in-depth legal knowledge comes from our extensive trial and litigation experience. We have brought many cases to trial and verdict, and have also handled many arbitrations for our clients. We stay informed of all changes to real estate laws and statutes, and have used these laws to bring our clients' cases to a successful resolution. Our attorneys do not draw cases out just to bill hours. We partner with you in this venture and create a plan for your case. As things progress, we consult with you whenever that plan needs to be altered. By keeping you in the loop and having your approval, we are able to move things along as efficiently as possible. Many situations can be resolved through negotiation or arbitration, both of which are less expensive options. We truly understand the many laws and statutes regulating the real estate industry, and use this information to protect our clients. We partner with you to resolve your issue, laying out a plan of action and working with you to make adjustments as the case progresses. We will advise you on all of your options and advocate for the choices we make together.